The new Peugeot Partner, Citroën Berlingo Van, Vauxhall Combo and Opel Combo vans were designed as part of a cross-business programme in which services were systematically tailored as closely as possible to the needs of BtoB customers in terms of convenience, driving assistance systems and safety. 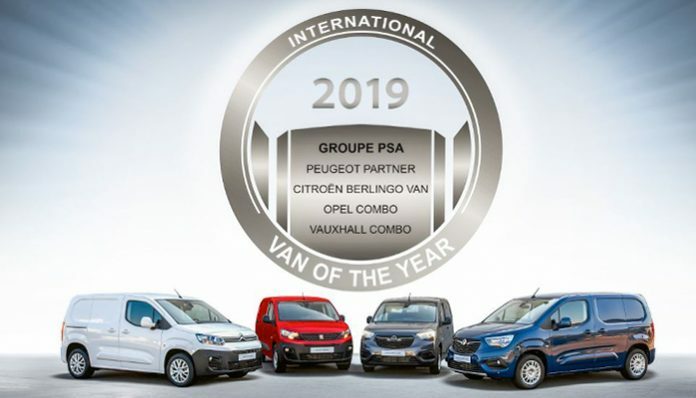 This new generation of compact vans is already a commercial success, taking first place on the European podium in 2017 with the current edition of the Peugeot Partner, followed by the Citroën Berlingo Van in third place, after ten years on the market. The new models were developed using the EMP2 platform and accommodate the latest generation of powertrains and driver assistance equipment. They offer a range of services for BtoB customers, meeting the highest standards on the market in terms of spaciousness and modularity, with a load capacity of 1,000 kg. With each generation, Groupe PSA has brought useful and major innovations to the segment, now proposing two technologies that are unique on the market: the overload indicator and surround rear vision. With this new offering, Groupe PSA intends to consolidate its leading position in the commercial vehicle market. “Groupe PSA is very proud to receive this prestigious international award, which comes in recognition of our expertise and the positioning of our line-up as the best on the market. With this new generation of compact vans, we have reached a critical new milestone in the renewal of our BtoB range, in line with our ambitions for commercial vehicles as part of the Push to Pass strategic plan,” said Carlos Tavares, Chairman of the Groupe PSA Managing Board.